In his fearless quest to protect my brother and father on the farmstead, Bolle, the dog pictured above, has killed several snakes during his life. Unfortunately during his last fight with a vicious black mamba, he got bitten so badly, that unlike previous times, he did not survive the venom and died in September 2010. The loss of the dog was a very sad event for my brother, as he has raised Bolle from being a tiny puppy and the two were inseparable. For my brother’s birthday this year, I have painted this portrait of Bolle from a photograph which I had taken some time ago. 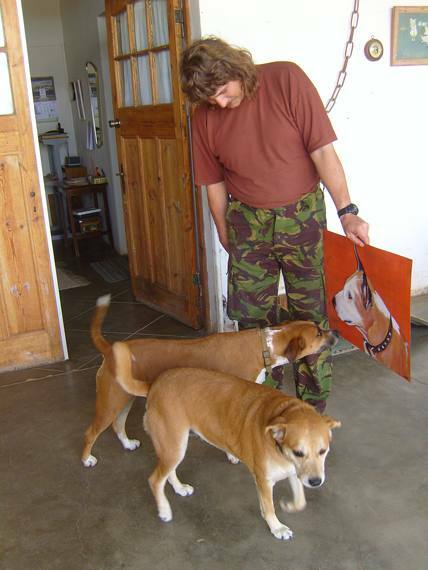 Through the artwork, at least the memory of this special dog can live on in a “physical” form. 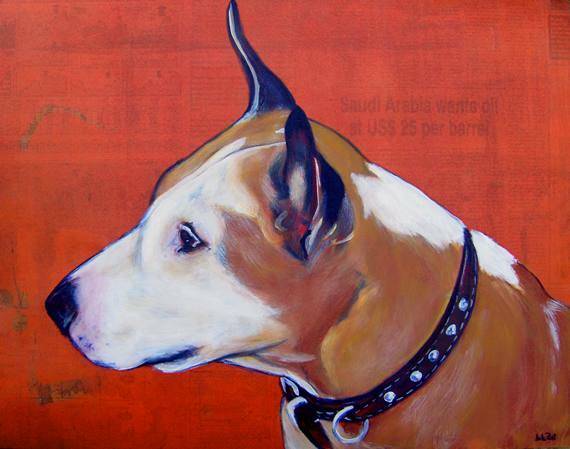 This entry was posted in Painting and tagged art, artist, contemporary, dog, imke rust, namibia, namibian, painting, portrait on May 16, 2011 by Imke Rust. I like the picture and the reason it came to being. When reading the story I had to think of one of our dogs who incidentally was named Bolle and was killed by a snake after killing several others on my fathers farm.